Neroli oil (Citrus aurantium var. amara) comes from the bitter orange tree, also known as Seville orange. This evergreen tree is a member of the Rutaceae family and is synonymous with C. vulgaris or C. bigaradia. Neroli essential oil smells like sweet flowers, vibrant yet light with a slight top note of honey and terpenes. It is sometimes referred to as orange blossom oil. The neroli tree features dark green glossy leaves with white flowers that impart a lovely sweet fragrance. It has a smooth, grey-hued trunk, can grow up to a little over 30 feet in height and is native to areas in the Far East. Today, it can be found thriving in the Mediterranean as well. The tree produces multiple oils, all with the botanical name of Citrus aurantium var. amara or a synonym of it. Because of this, you must be sure what you are actually getting in the bottle. Do your research, so you know precisely what the volatile inside the bottle is. There is also an absolute or concrete created from solvent extraction of the neroli flowers. The fruit of the tree, Seville oranges, are picked for marmalade production. These fruits are darker and smaller in size than sweet oranges. The outer peel of the almost-ripe fruit is either hand or machine expressed to produce bitter orange oil, also known as sour orange bigarade. Bitter orange essential oil is greenish-yellow to dark orange in color. It has a sweet and sour scent that is floral and woody at the same time. The oil is phototoxic and has been known to cause contact dermatitis in some people due to the limonene content. Petitgrain oil earned its name because it was once distilled from the green, unripe fruits while they were still very small, about the size of a cherry. They had the moniker 'little grain;' hence, petitgrain. This oil smells of fresh flowers and citrus, with woody and slightly green undertones. An orange water absolute is produced as well from the leaves and flowers. This is known as 'petitgrain sur fleurs.' This water, neroli, and petitgrain are not phototoxic like the bitter orange oil. Orange blossom oil was given the name 'neroli' after the Italian Princess of Nerola, Anne-Marie de la Trémouille de Noirmoutier, in the seventeenth century. She discovered the oil around 1670 and began wearing it as perfume, making it gain popularity. The blossoms were associated with purity. Brides often wore them in the hair to signify this and fidelity in their marriage. Neroli blends well with the other oils that come from the tree and virtually all other oils. It smells especially lovely with floral oils like geranium (Pelargonium graveolens) and jasmine (Jasminum grandiflorum), or citrus oils like tangerine (Citrus reticulata) or lemon (Citrus limon). Neroli has a lot of health benefits, and there are a multitude of ways to use this helpful oil at home. It may be cost-prohibitive, so you may want to use it sparingly. If you have a recipe that calls for neroli and you do not have it or do not want to use it because of the cost, you must determine what the use is to figure out an appropriate substitute. For instance, when using oil for stress or an emotional issue, try lavender (Lavandula angustifolia). This may also be appropriate for a skincare use as well, or perhaps geranium (Pelargonium graveolens) would be better suited. The orange flower water and neroli oil are both used by the pharmaceutical and food and beverage industry as flavoring. Valerie Worwood recommends neroli for baked egg custards, and it would lend an appetizing fragrance and taste to many sweet dishes or desserts. If using the oil to flavor a recipe, use only a drop or so and make certain it is organic neroli oil from an honest distributor, so you know it is real. The skin benefits of orange blossom essential oil are well-known. It is lauded for its effect in blends for face issues, especially those for maturing or damaged skin. The orange blossom hydrosol is an excellent addition to face masks, tonics, gels, creams, and sprays. It can be used on most skin types, including sensitive and aging. It has regenerative and rebalancing effects just like the oil. You can also combine neroli oil with peach kernel (Prunus persica) oil to create a protecting, nourishing, and revitalizing moisturizer. This is especially prudent for mature skin, as the combination helps to reduce fine lines by plumping and regenerating the skin cells. The absolute of the neroli flower is often used in expensive, high-class perfumery. The oil is a scent in many toilet waters and Eau-de-colognes, and the oils created from the Citrus aurantium tree have been used in perfumes throughout the ages. While you likely do not want to use the expressed oil of the fruit because of the phototoxicity danger, using neroli could help you create a unique scent for yourself. The oil is considered both feminine and masculine and can be a middle or top note depending on what you mix it with. The most popular way to use essential oils is diffusing them into the air. With a few drops in the diffuser of your choice, you can create or change moods, help keep sickness at bay, and freshen up a room, all with the push of a button. Neroli is known for its positive effects on the nervous system. Therefore, you can add this oil to other nervines to calm yourself after a stressful day or brighten a dark mood. It is both calmative and sedative, making it a wise choice for depression, anxiety, and tension. Neroli is a perfect oil to benefit many systems of the body, including the digestive, nervous, circulatory, muscular, and integumentary systems. The restorative benefits that neroli oil brings to the skin cannot be praised enough. It is a gentle enough oil that it can be used not only for elderly or broken skin but during pregnancy as well. This cannot be said of many oils. You can use neroli in blends to combat problems of pregnancy such as stretch marks. It can also be used in a personal diffuser to calm the nerves that invariably tend to go haywire as your hormones fluctuate. Anytime an issue arises that upsets the nerves, grab neroli. Bear in mind, however, that this oil can also be used to motivate and stimulate. It has more of a stimulating effect on some people than others, so if that is the case for you, use nominal amounts or none when trying to sleep. High blood pressure is a silent killer that a person can have for many years and not even know it. However, it can lead to dangerous or deadly issues like stroke and heart attacks. 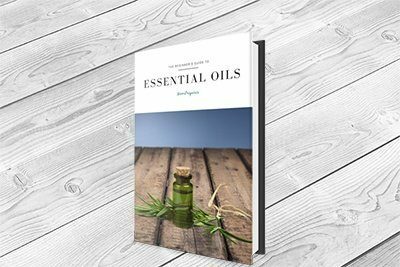 Some essential oils have been shown to have positive effects on the circulatory system and can help lower blood pressure, often by having anti-stress benefits on the person. There are many ways to use oils to help this condition. You can add them to your bath or shower, use them in a diffuser, or utilize them in massage blends. If you are using them in the latter, always move towards the heart, not away. There are not many results that can be found about neroli research. For instance, on PubMed, only 18 come back for "neroli essential oil." However, there are a few studies of note. Menopause can wreak havoc on a woman, both physically and mentally, as well as emotionally and sexually. In 2014, researchers set out to determine whether neroli oil could prove to be helpful. They used the Menopause-Specific Quality of Life Questionnaire (MENQOL) to grade menopause symptoms. Pure neroli is one of the more expensive oils, due to how many hand-picked flowers it takes to distill a minute amount of oil. However, the health benefits it provides can make it well worth the cost. Use neroli plant oil for issues with the skin, to aid in lowering blood pressure, and for mood enhancement or nervous disorders, among other things.